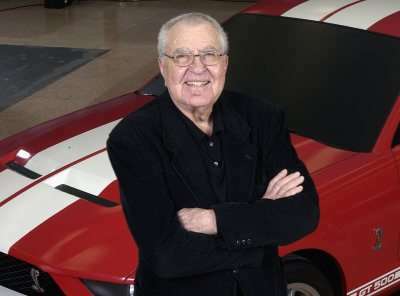 The Washington DC Auto Show opens next weekend and on the eve of the show’s public opening, Keith Crane and the Automotive News will recognize Mr. Carroll Shelby with their 2011 Lifetime Achievement Award at a charity dinner in Mr. Shelby’s honor. Tickets for the charity dinner accompanying Carroll Shelby’s ceremony for the Keith Crane/Automotive News 2011 Lifetime Achievement Award start at $250 or $2,000 for a table of 10 and all but $100 of the price is tax deductible. The proceeds of the evening go to the Automobile Dealer Education Institute (ADEI) and the Carroll Shelby Foundation so this special night for Mr. Shelby is not only a remarkable moment in automotive history but it also helps children fighting life-threatening illnesses. In addition to the cocktail reception, the dinner and the award presentation, there will be a collection of Carroll Shelby’s most famous and incredible vehicles from his half-century-long career. A remarkable evening for one of the most influential men in the history of the American automotive industry and on the behalf of the rest of the staff at TorqueNews.com, I’d like to congratulate Mr. Shelby for this award and thank him for what he has brought to the industry. Click here for more information on ordering tickets for the award banquet.